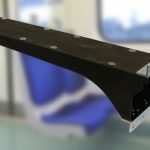 An innovative rail carriage door leaf developed by TRB Lightweight Structures, which was the winner of Composites UK’s Environmental / Sustainability Award for 2018, utilises a bio-resin prepreg supplied by Composites Evolution. The door leaf is a sandwich construction consisting of carbon fibre-reinforced bio-resin facings either side of a 100% recycled polymer foam core. In comparison to a conventional bonded aluminium door, the composite solution can provide a weight saving of up to 35%, at a comparable cost. This translates into reduced energy consumption for operators, as well as faster door opening and closing, reducing train dwell times in busy stations. 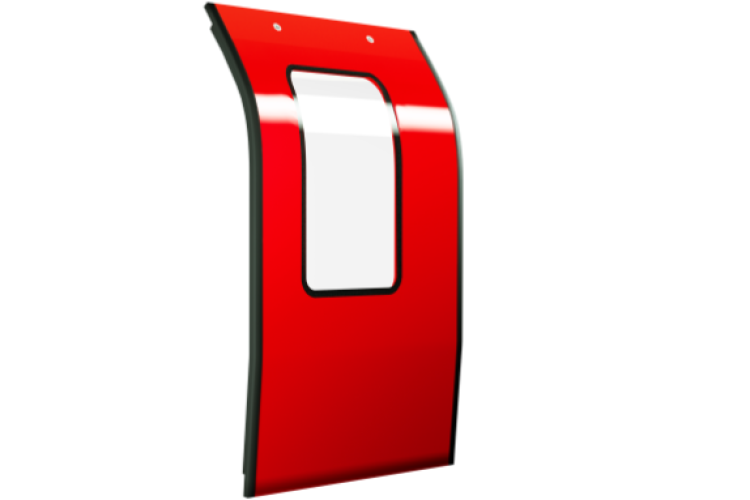 The carbon fibre composite facings in the lightweight door are realised using Composites Evolution’s Evopreg PFC prepreg. The polyfurfuryl alcohol resin used in Evopreg PFC has exceptional environmental credentials – it is 100% derived from waste agricultural biomass, is non-toxic and does not use volatile organic compounds (VOCs). Furthermore, Evopreg PFC has excellent fire properties. TRB’s composite door structure easily passes key fire standards including BS 6853 and BS 476, as well as being EN 45545 compliant. Gareth Davies, Composites Evolution’s Commercial Manager, commented “This has been an excellent collaboration with TRB and we’re very pleased with what they have achieved with Evopreg PFC. It has been most rewarding to work with a partner that shares our vision for sustainable, high-performance composites”. 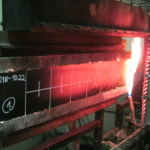 Composites Evolution will be presenting their full range of prepregs for mass transport applications at the “Composites in Rail” in Berlin on the 25-26th June 2019 and also at Composites UK’s “Composites in Rail Rolling Stock” event on the 18th July 2019 in Derby, UK.